The Yarra Valley is rich in historical significance; innovative gastro-style food influences and vineyards with a reputation to uphold. With a rich colonial history, the Ryrie brothers and Paul de Castella settled in a joint partnership at the Aboriginal Yering in the early 1800s, establishing an internationally regarded vineyard. Declining demand for table wines towards the late 1890s saw the region transform into cattle stations for dairy. It was not until the late 1960s that Chateau Yering rejuvenated into its modern day beauty, taking on several caretakers before stopping with current owners, Len and Elly Milner in 1996. Taking the principles laid out by Ryrie and de Castella, Yering became an cultivating hotspot where hotel guests and day visitors mix within the functional vineyard and fine dining experiences; home to some of the best food in the area headed by Chef, Mathew Macartney. The Chateau is far from being the Yarra Valley’s best kept secret, with weddings, tours, and weekenders constantly flowing through its doors, but it is a delightful mix of colonial olde money, indigenous history and contemporary mod-cods. Sitting in the Sweetwater cafe on the far eastern corner of the homestead, resembles having come into tea out of the stifling deep southern heat at the cotton plantation. With it’s bucket-like wicker cane chairs, crisp white walls and pine floorboards, its conservatory-meets-atrium style reeks of prim and proper Britishness. Whilst the cafe provides less formal dining than the main restaurant, it is a lavish occasion where rich, developed flavours of the region are celebrated. The menu is seasonal, full of rich and earthy flavours – encapsulating the produce synonymous with the region. 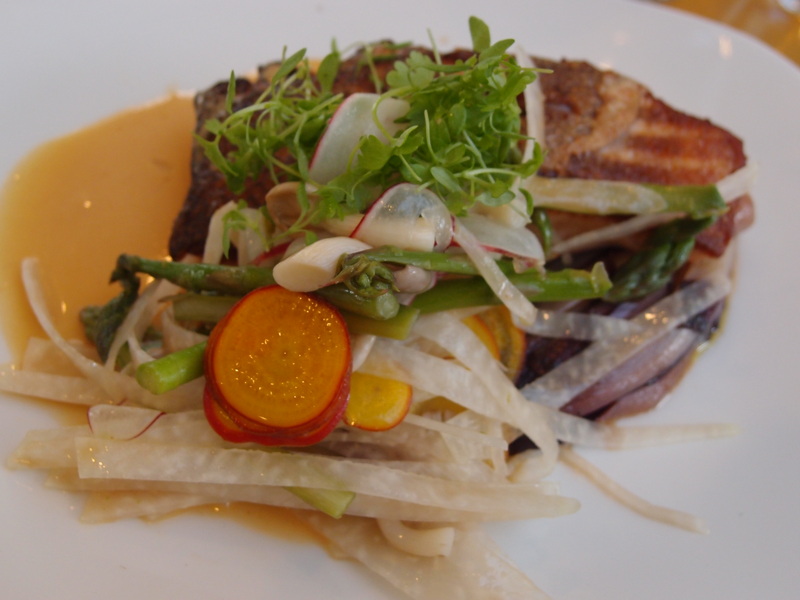 Sourcing from local farmers, Macartney and his team put together a bunch of wild tastes and beautifully crafted meals. 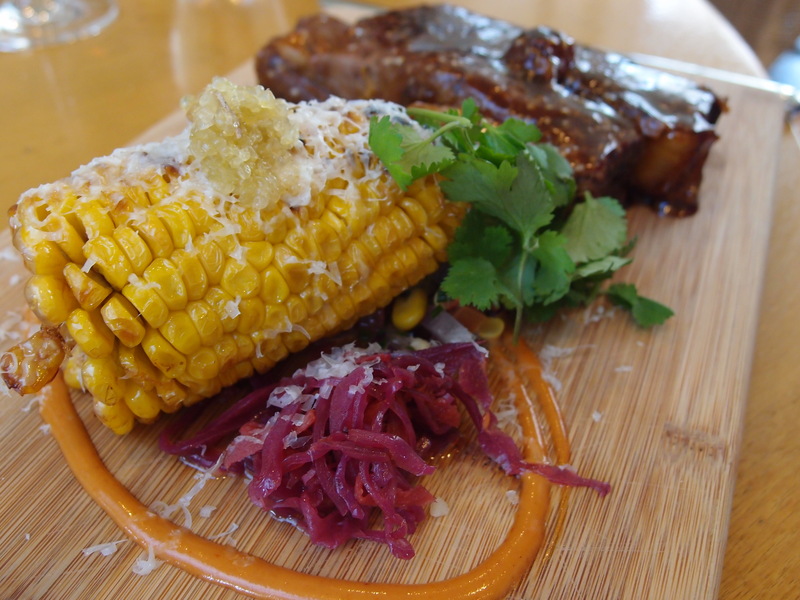 The Autumn menu stars rich meat dominated dishes from BBQ beef ribs with grilled corn, chipotle, lime and grated saganaki to roasted pork belly served over spiced carrot puree, braised fennel and a pork jus. The developed and matured flavours of the off-the-bone meats are slow roasted, breaking away, shredding with each cut. Accompanied by seasonal fennel and corn provides a lighter match to the overpowering flavours of the meats. 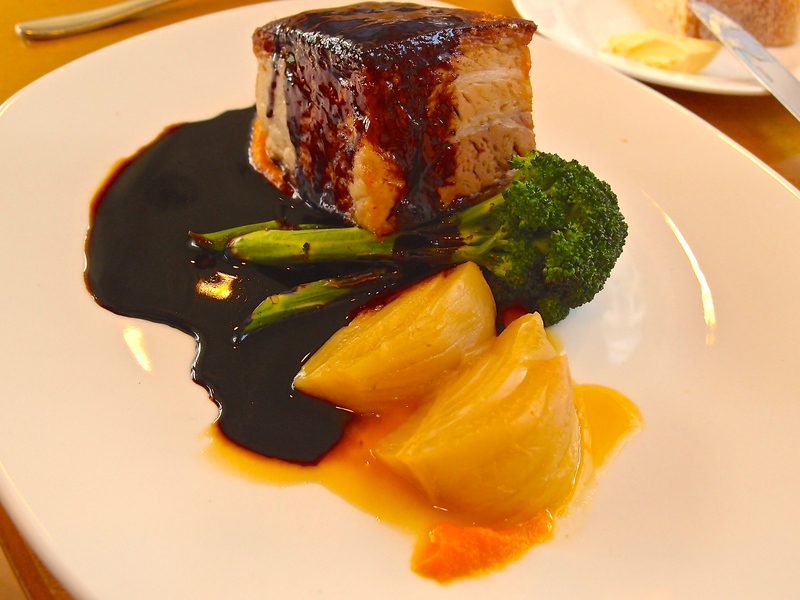 The pork jus is gelatinous and dark and contrasts well with the carrot puree, which cuts through the fatty flavours of the meat. On the lighter side, the pumpkin and sage pappardelle served with chestnuts, wild mushrooms, grana padano and the fish of the day, a char grilled salmon served over caramelised onion, orange beetroot, radishes, wild mushrooms and a carrot sauce develop bright flavours of the warmer days before winter. The flesh of the salmon is delicate, lightly cooked with a crunch of crisp skin coating the layers inside. The accompanying salad and blanched vegetables add crunch to the soft texture of the fish and fill the mouth with a burst of citrus. The pappardelle is freshly prepared thick and long stands, doughy yet sweet as it wraps around the fork. 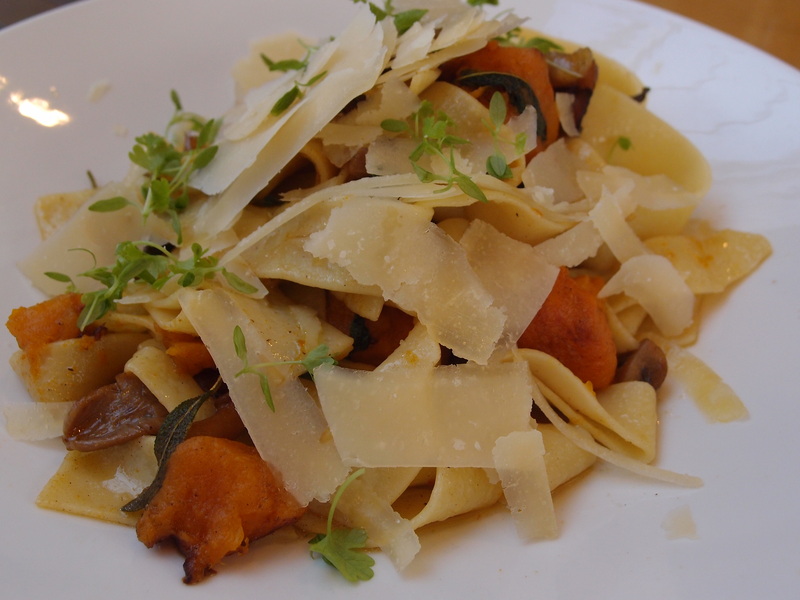 The large chunks of pumpkin are robust, natural and as soft as the pasta. Finally, the chunks of grans padano finish this dish off with a kick of flavour to the otherwise humble and dry flavours of the dish. The cafe is used as a breakfast dining area for overnight guests but is an affordable stop over for day visitors with an equally enjoyable dining experience to the main restaurant, Eleanor’s. Prices in the cafe range from $14 starters through to $30 mains. An elaborate array of sides are on offer as well as seasonal changes to the menu, cheese boards, deserts and of course local wines.